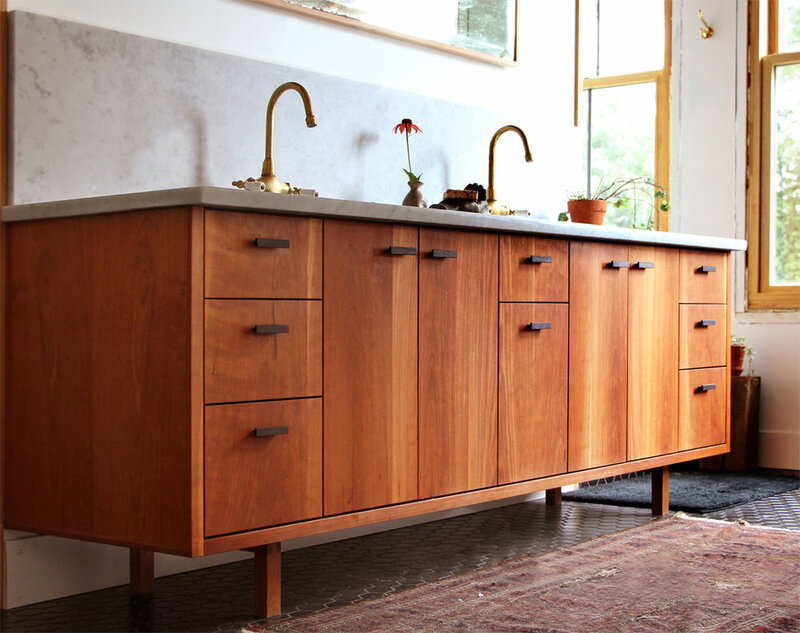 Kitchen Cabinets, paneling and floating shelves made of vertical-grain Douglas Fir. 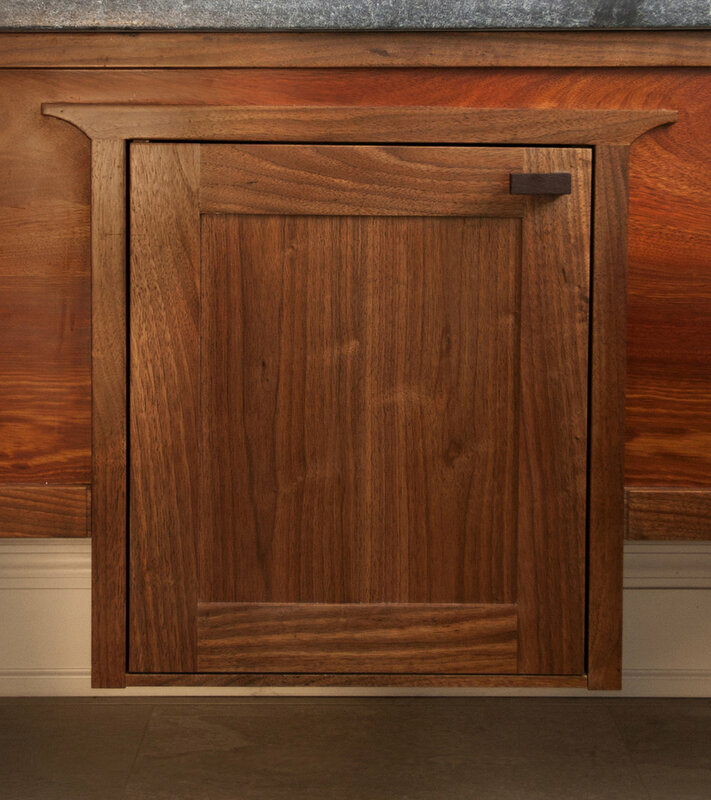 Machined pulls in the flat-paneled door and drawer faces enhance the minimalist style. 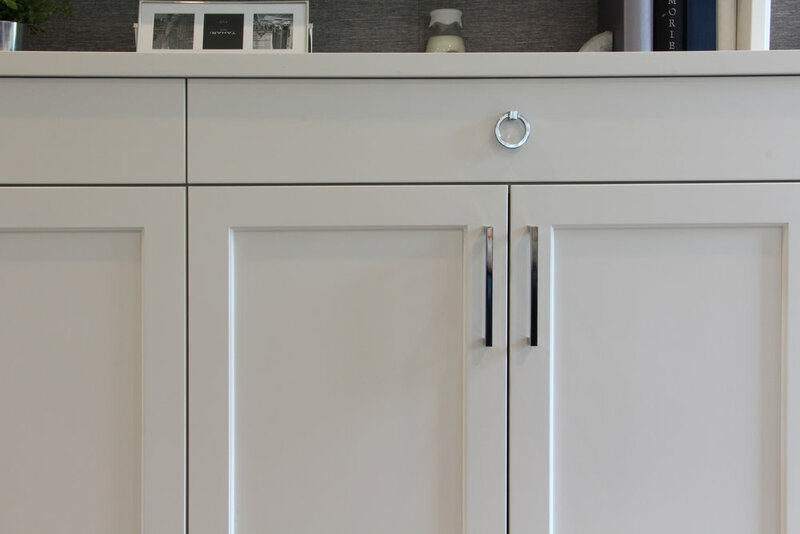 Adjacent white lacquered floating pantry cabinet compliments the oil-finished kitchen cabinets. Bathroom vanity is solid Cherry. The pulls are made of Wenge. Kitchen cabinets and paneling in American walnut. 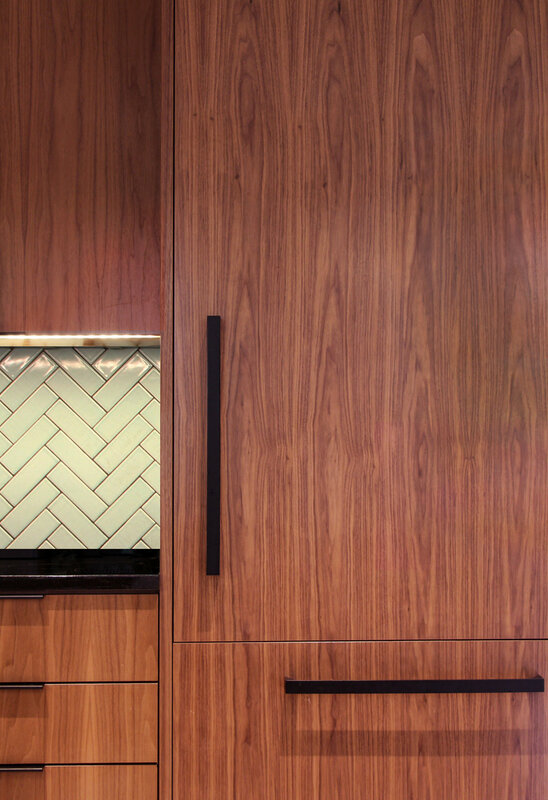 Appliances are panel-ready to match the faces of all the cabinetry. Kitchen cabinets and banquette seating with trestle table. Made of clear-finished solid Maple. A built-in for a wall-mounted television. Display shelving and under-counter storage for easily accessible living room accessories. Finished in white lacquer.